ImgBurn is a popular CD or DVD burning program that is around us for a long time. The ImgBurn has served millions of users all around the world, but there is a time when it doesn't work properly even when you reinstall the package. It might be a software problem that you are having trouble solving it, but you cannot stop right there, so why not looking for some best alternatives? Please allow us to give you a few suggestions on which you can use as an alternative to ImgBurn for CD/DVD burning. Free ISO Burner is an open-source program that does not charge you a single penny. 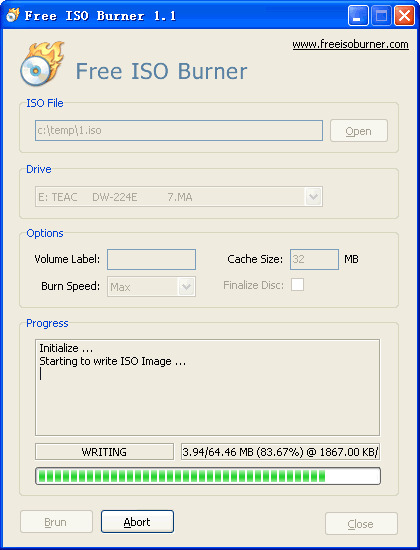 The primary feature of Free ISO Burner is the same as ImgBurn that burns an ISO Image to blank CD or a DVD drive. It is a tiny program in only 675 KB and you can use the program directly after download. Let's take a look at the pros and cons of this program. Burn ISO images to CD/DVD directly. Totally free for ISO burning. Don't have complicated features and settings. Very clean program with no virus or malware. Can't create bootable CD or DVD. Failed to handle the latest DVD or CD disc. Lack of features such as ISO extracting or copying. 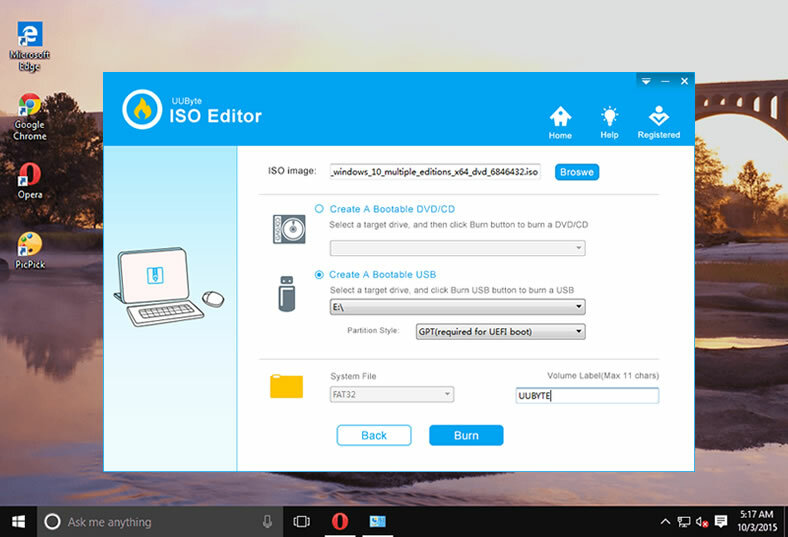 UUByte ISO Editor is a feature-rich ISO toolkit for burning, editing, creating and copying. 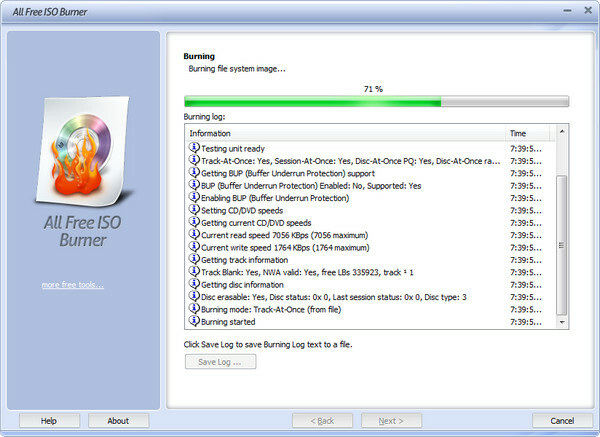 Burning ISO to CD/DVD is only one feature from this awesome utility. It adopts the latest CD and DVD standard so it is almost compatible with all CD/DVD manufacturers . One-click burn ISO image to CD or DVD. Support 20+ manufacturers, such as Pioneer, Maxell, Sony, TDK, JVC, Ritek. Addition support for external USB disk. Edit ISO image freely like adding or removing files from current ISO file. Click the above button to download the setup file on a computer. Then run the installation wizward. From the main interface, click "Burn" tab. 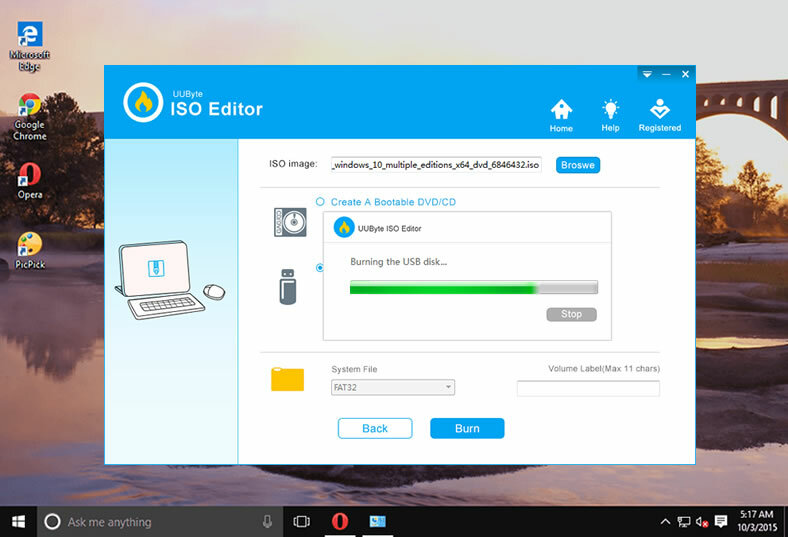 Now you will see the burning feature of UUByte ISO Editor. Please click "Import" button to add ISO file to the program..
Now insert a blank CD or DVD disc into the computer. Once the disc is recognized, the drive name will appear on the UUByet ISO Editor. Now select the partion style and system file. Leave it as default if you are not familiar with the options. Afert that, click "Button" button at the bottom to start the ISO burning process. You will see a progress bar indicating how the task goes. I have used UltraISO on many occasions, and it is one of the popular Free and Paid burner available for Windows and Mac PC's all around the world. UltraISO developers advertise the premium version, but you can use the free version for a few days with paying a penny or entering your credit card details. UltraISO is a multipurpose program that can carry out many tasks without errors in the disc or USB device. Extract files and folders from an ISO image file. 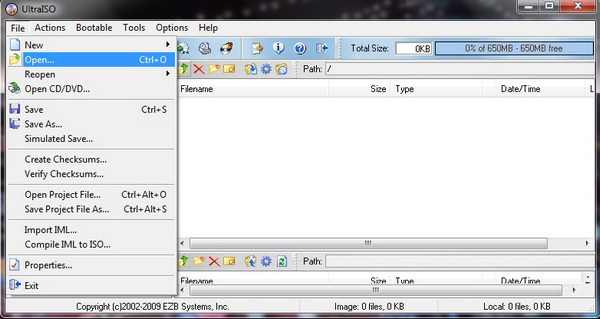 Make an ISO image file from a folder, files from Windows, and more. Make bootable Windows OS on a USB device and CD/DVD drive. Creates a virtual CD/DVD drive on Windows PC, and emulate the ISO files in the virtual CD/DVD drive. Convert up to 30 CD/DVD image formats like NRG, ISO, NRG, MDS, MDS, CCD, and CCD format. Premium software priced at 29.95 USD. All Free ISO Burner is an open-source burner developed by few intelligent developers with their innovative products in the market. It is also an underrated program because they don't have enough funds to promote their products, while their competition does have plenty of funds to throw around. 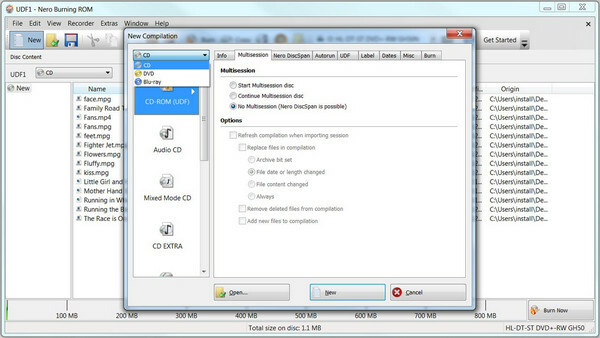 It is a fabulous free ISO burner that burns ISO Image into CD and DVD, and it supports Blu-ray quality. It comes with many burning modes that enable you to control the burning speed as well. You can read the features to understand its full capabilities. Burn ISO Image to CD/DVD with less error. Free to choose the burning speed. Monitor the burning process from log details. Malware and malicious code deltected from Virustotal scanning result. On the web market, Nero Burning is a popular program that has earned the respect of many professionals around the world. The Nero Burning developers have years of data on clients usage, customers usage, and new features. Nero Burning can carry out the ISO Image file burning to a CD/DVD in a matter of minutes. The latest stable version does not cause any errors, and you can burn ISO Image files, Data, Blu-ray, Audio, and more. A list of Nero Burning would give you an idea on features bundled in it. Can burn audio, data, videos, ISO Image files to CD/DVD/Blu-ray disc. No quality loss after burned on disc. Take a lot of time learning how to use it . Not user friendly for newbies. We have listed free and paid burning programs to make sure one of them will work for you. Let us know what do you think about the CD/DVD burning programs available in the web market in the comment section below.